My hubby and I recently got an i3 mk3 prusa printer. We've had some very successful prints and troubleshooted through most of our issues in the first few days of printing. More recently we've come across this one and can't seem to figure out why its happening. 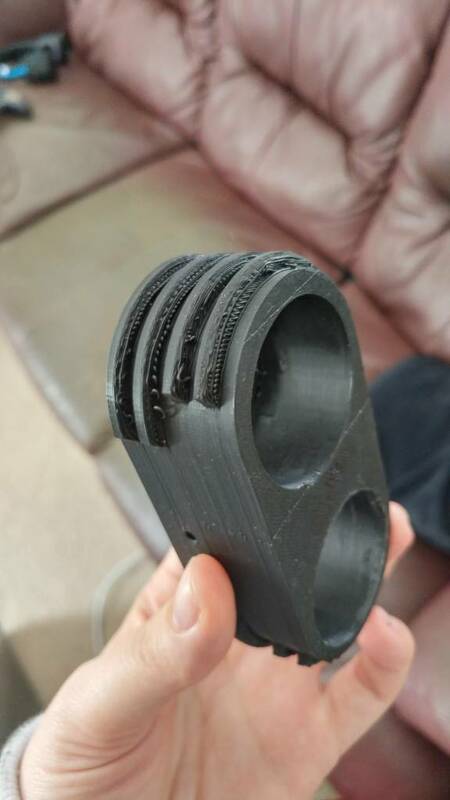 We attempted this print with supports as well but they were near impossible to take off resulting in us trying the print without. I should also mention we're printing with PLA. Not sure if anything other settings will help, I can post them if they will. Have you tried supports but increasing the gap between the supports and the model. This is a setting in simplify 3D, not sure about other slicers. Also decrease the size of the supports, it will be able to cram more smaller supports in. Are those little round things needed if not eliminate. To print things in mid air is very difficult because there is nothing to print on. To have clear defined rings you would need supports best done using an HIPS material but would require a dual extruder printer. You can also reduce the temperature of that 215 lower to about 205 but won't really help with overhangs. 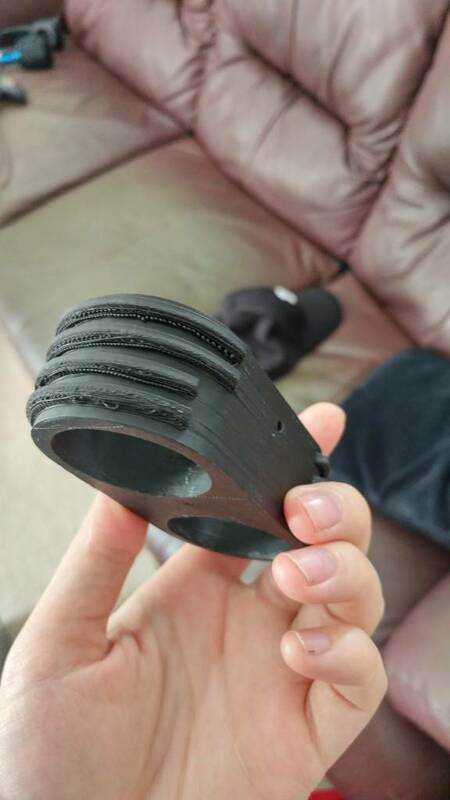 If this is a part you have designed it could be modified to make it print right by adding fillets or curve to bottom side of the rings. I always design my parts to eliminate sharp overhangs or orient them to be printed upward. If you would like an example of fillets contact me. 3D printed products may experience sloppy edges when the 3D filament contracts after cooling or you are not using the correct heat settings to print the objects. Get good quality PLA filament from reliable stores and also ensure consistent angle while he objects get printed. The latest version of Cura offers support options which will meet your needs.